This week was an off week because I took the week off of workouts to let my calf heal. The good news is that I visited my PT and got the clear to go back to my regular schedule. I also had a really solid 20k race (that I didn’t actually race, I just ran easy) that gave me confidence that my calf is actually a-okay. I’m happy that I’ll be back to my regularly scheduled running this upcoming week and also happy that the taper is getting closer and closer! The Berlin marathon is getting closer, y’all! Monday: 3 easy miles run commuting home from work. Nice and easy and my calf felt pretty good. Tuesday: 3.7 run commute to work. Still nice and easy but I was less tentative than Monday. Felt great. Thursday: PT. I got in at Fast Track, my usual PT and was really happy to get the all clear. One thing that Meg, my PT did say was that I should work on my big toe strength. She said that would help my slight overpronation. Honestly, I didn’t even know this was a thing, lol. But I’m working on it. It’s…shall we say…a challenge. I was very pleased though that the weak hip and hip drop that had caused me such problems a couple of years ago were gone. Yay to progress! Friday: My favorite of runs – a DC monument run tour with Emma, a Oiselle teammate from Indiana. Such fun! Saturday: Six easy miles with my running group. I ran shorter because I was signed up for the Leesburg 20k on Sunday. 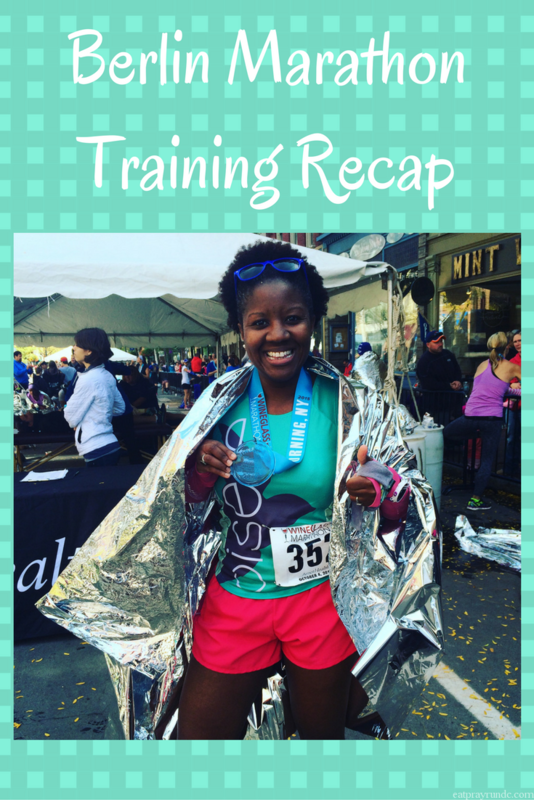 Sunday: Leesburg 20k – felt great! Recap coming soon! Do you run August races? I typically don’t but I really like the Leesburg 20k! So happy to her that you were given the all clear from your PT!! Glad you got the ok. Happy to see you back to running. Such an inspiration. Missed seeing you but did get to see Erin right at the start, which was lovely! Enjoy the beach! That is wonderful news! I am so glad to hear that you were cleared from your PT to continue training. I usually just stick to 5k’s in August. Although for the last two years we have run the rock n roll half in Cleveland. The heat and humidity were miserable! Good luck with your upcoming week and getting back in to the full swing of things! Thanks! I’m excited to be back at it! For someone struggling with a potential injury last week, I feel like you had an *excellent* week of training this week! Even if it was not perfect, you got out there and ran more days than not, you spent time with friends and showed them aroun and ran a race. Plus glad the PT report was good! I actually have the exact opposite problem- I under pronate and have crazy strong big toes (according to my sports massage lady). You did the smart thing by going to PT though, they are always so helpful and they want you to get better. I’ve always had better results with that than a doctor (assuming you know nothing is broken and you don’t need Xrays/MRI). Here’s to resuming your marathon training and getting to Berlin at 100%… you will! You had great weather for Leesburg today – can’t wait to hear the details!! Are you going to FastTrack in Fairfax or do they have another location? I need to work on my toe strength too – who knew?! Glad to hear the doctor gave your calf an A-ok! Congrats on the 20K, that’s a distance I haven’t tackled yet. August is SO hot for races, I’ve done it a couple of times but it isn’t my favorite, lol! Yeah, we got REALLY lucky with great weather on Sunday! I’m so glad to hear that you got the all clear and that your calf is feeling better. I can’t wait to read your Leesburg recap. I was so sad that I couldn’t make it yesterday. Great news! I’m sure you must be relieved to be feeling 100% again and having your PT confirm it. Big toe strength? I had no idea that was a thing either! The only thing I’ve ever done for my toes is the yoga toes pose to stretch out my feet…and it HURTS. So – here’s the big toe test: can you keep your big toe on the ground and lift your other toes? I can not…but I’m working on it! Oh how I laughed when l saw comment of having to work on big toe strength!! Lol! We learn every day! So, so happy every thing is back on track. It’s onwards and upwards to Berlin!! I did not know big toe strengthening was a thing either! What will they think of next? 🙂 It is pretty amazing when you go to a PT and learn about how interrelated every little body part really is to making everything work well. A bit overwhelming really! That’s great to hear that your running is back on track after just a week of rest. Berlin looks like such a cool destination race! I used to run one August race in Ohio and always regretted it the morning of, but there was a burrito bar and margs after (inside with AC) so it was all good by the time I finished. I’ve done a bunch of August timed fun runs after work here in Montana. It’s hot — but the lack of humidity makes such a huge difference! Yay for the all clear!! I can’t find anything longer than a 5k to race in August in Ohio because I think everyone is in agreement it’s just a big ‘ol humid bubble!